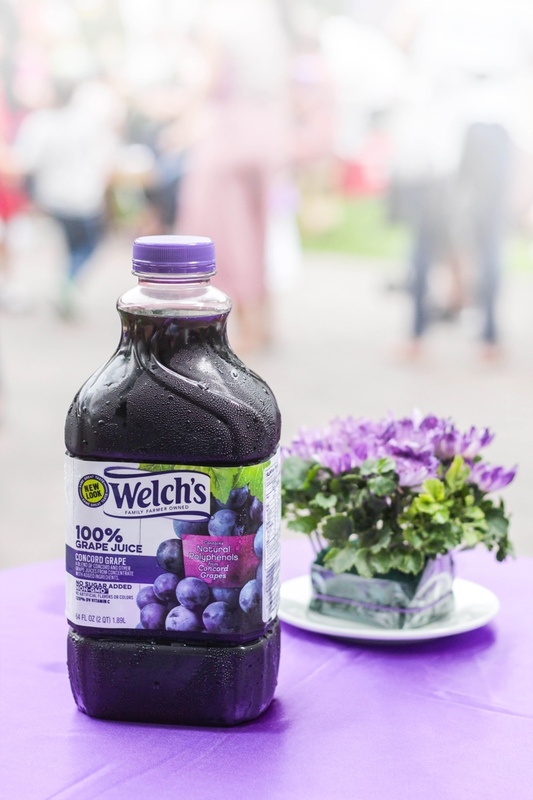 At Welch's, we value what's REAL, we value family, we value health and wellness and we value in sharing what's good. 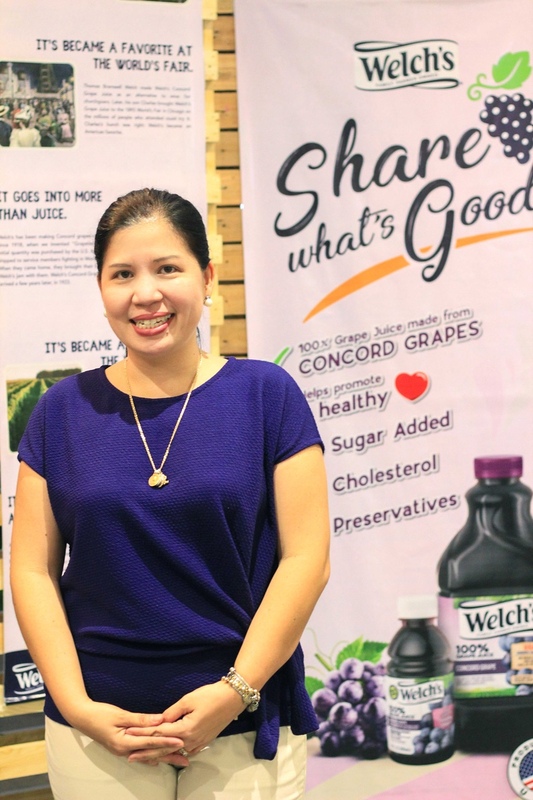 For over 140 years, Welch’s has been providing families around the world with products that bring a happy balance of goodness and deliciousness-Erika Evaristo Rodriguez, VP Marketing of Welch's Philippines. 1. Preheat the oven to 400° F. Coat a muffin pan with cooking spray or line with paper cups. 2. Place the granola in a heavy-duty plastic bag and crush it lightly with a rolling pin or other heavy object to break up any large clumps. Set aside. 3. In a large bowl, combine the whole wheat flour, all-purpose flour, baking powder, baking soda and salt. Mix until blended. 4. 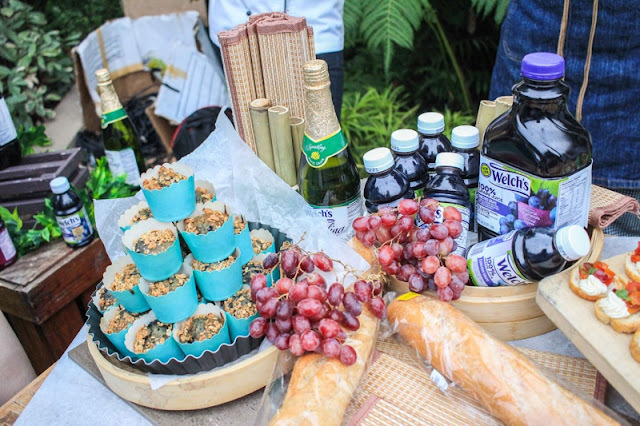 In a medium bowl, whisk together the grape juice, egg, oil, sugar and lemon zest until incorporated. Add this wet mixture to the dry ingredients, blend and stir with a rubber spatula until homogenized. Fold in the blueberries. 5. Fill the prepared muffin cups about two-thirds with batter. Sprinkle with the granola and pat it in lightly so that it adheres. 1. 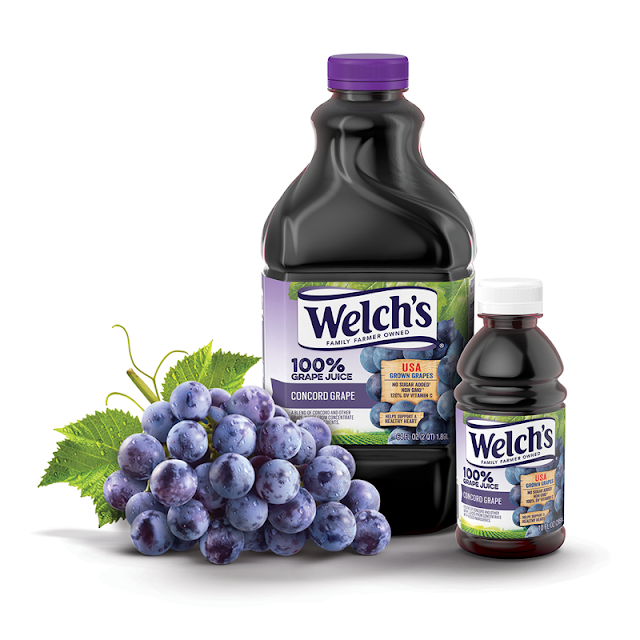 In a sauce pan, pour in the balsamic vinegar and the WELCH 100% GRAPE JUICE and reduce in half or until coats the back of the spoon. Cool down and set aside. 2. In a mixer (using a paddle) or bowl, mix the goat cheese, cream cheese, Heavy cream together until light and fluffy. Season with salt and pepper. Set aside in the refrigerator. 3. In a bowl, add the quartered grapes, tomatoes, jalapeño, cilantro, red onions, lime juice, and the reduced grape juice. Season with salt and pepper. Set aside in a refrigerator. 4. Slice the baguette by ¼” and arrange in a baking tray. Drizzle with olive oil and season with salt and pepper. Flip and repeat the process. Bake in a 350 F oven until golden about 5-8 minutes. 5. 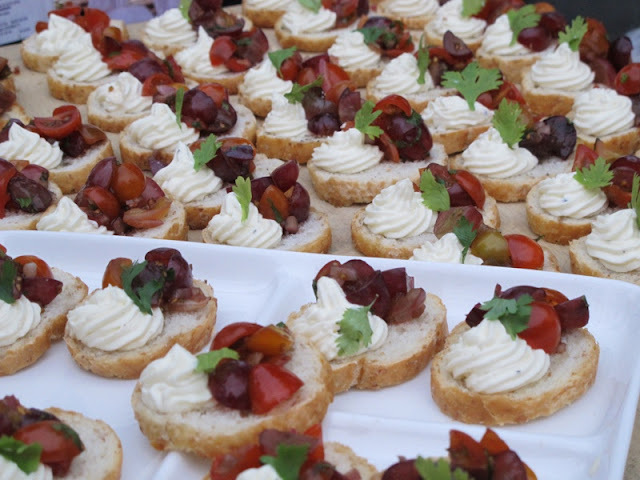 To assemble, spread the goat cheese on the crostini. Add a spoon of grape salsa and garnish with cilantro. 1. Place banana and grapes in freezer until firmly frozen (in plastic bag if not using soon). 2. Combine frozen fruits, yogurt, grape juice and cinnamon in blender and blend until smooth. Divide between 2 large glasses and enjoy cold.